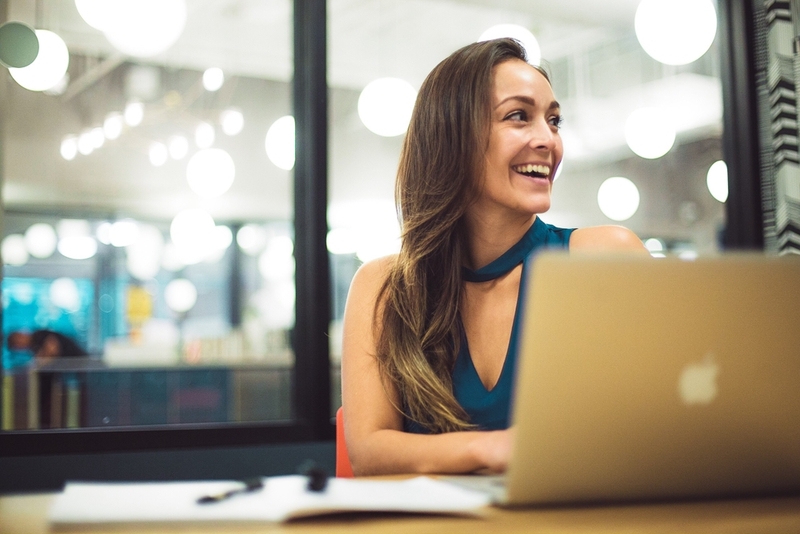 Your Customer Relationship Management (CRM) strategy needs to be underpinned by an appropriate system – and one that your sales team feels comfortable using in their daily role. There's a lot of sense in opting for an easy-to-use CRM to increase buy-in from users and get the best results for your business. What other key benefits can be gained from a simple CRM system? Leave the age-old problem of knowledge sharing where it belongs – in the past. A simple CRM system breaks information silos. 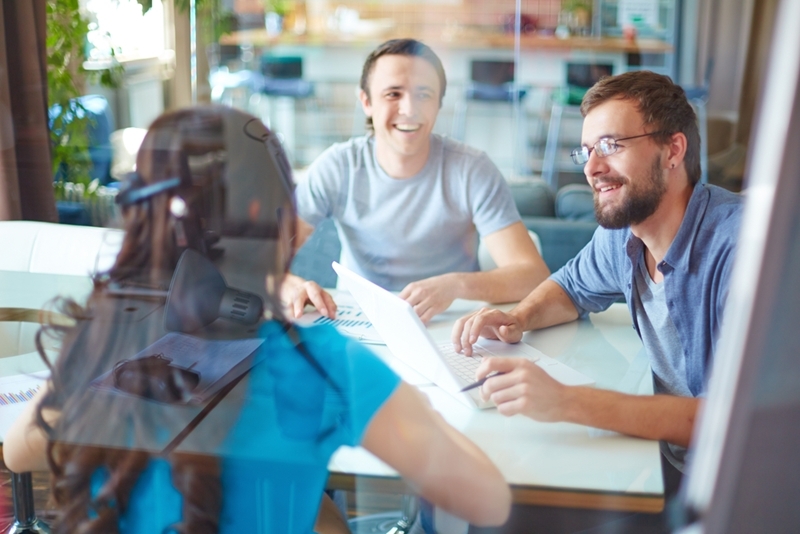 The best sales people aren't just great at delivering a pitch – they understand your customers. So well, in fact, they can anticipate your customers' needs to identify what to sell, when, and how. They learn your clients' businesses inside and out to offer a genuinely helpful, positive customer experience. That's a lot of value in one person's head. All that value represents risk. What if your best salesperson were to get sick, go on holiday or worse, leave? Your customer relationship can't simply go on hold – you need their knowledge to keep your business running. That's where a CRM comes in. Contact management is among the most common use cases for CRM system. Used properly, a contact management CRM means there's always an accessible database of customer information that anyone on your sales team can make use of. This breaks information silos, overcoming the risk of difficult transition periods when a new salesperson takes over an account. In practice, the transparency granted by a CRM system means your sales people will always have an answer for your customers, no matter where they are. Cloud-based CRM systems allow for constant updates, enabling real-time movement of information between different sales people. Offline functionality also means that information can be stored on your sales peoples' devices for easy reference on remote business sites. 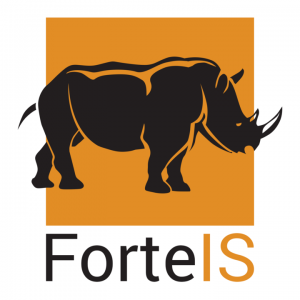 Some CRMs, such as Rhino by Forte IS, include straightforward messaging functions, empowering back office staff with a fast and direct way to communicate with sales people in the field. A message can be sent straight to any salesperson's device via push notification. A simple CRM empowers your sales people to have more meaningful conversations. Automated CRM functions allow your sales people to stay aware of the most important opportunities to your business. You might know a customer like this: They're low-touch, never asking for much and seemingly content with their current service. It's entirely possible for your sales people to neglect this relationship, as there's little pressure to do otherwise. But situations can change for your customers overnight – and they won't necessarily tell you as much without you asking. That's why call cycles and gap analysis reports are vital for ensuring customers are called on regularly and positive customer relationships are maintained. Regular check-ins mean your sales people can stay on top of how your customers' business needs are changing. In turn, they can identify opportunities to adapt the service or product package customers are currently receiving to better suit their needs – cementing your business as a trusted strategic partner. Lastly, a CRM system is a powerhouse of information about your customers and sales strategies. Every point of contact within a customer account should be recorded in your CRM system, building a vast database of customer communications and sales history. With Rhino, this bank of knowledge can then be presented in a number of off-the-shelf or custom reports, or exported as a .csv file for even further manipulation. Smart business reporting lets you look past your sales numbers and see the bigger picture of your company's performance and identify areas for improvement. Your CRM system should simplify your sales process, not complicate it. 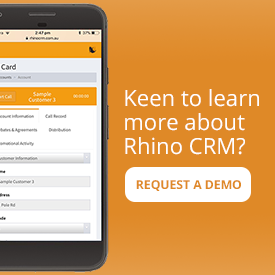 For a CRM that puts your business needs first, request a free demo of Rhino today. What are the most critical features of a CRM? How does a good CRM provide a positive ROI?